Don’t Leave Your Pet In The Car! 2019 Chrysler Pacifica: Ready For Your Family Vacation! 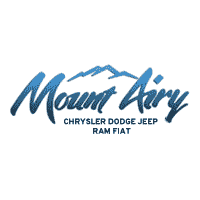 The Cost Of A Vehicle Over Five Years: How Mount Airy Chrysler Dodge Jeep Ram Fiat is Here To Help! Year-End Sale On The 2017 Jeep Wrangler! Feel The Wind in Your Hair with The Perfect Spring Convertible! Ram Truck: Which Size Is Right for You?